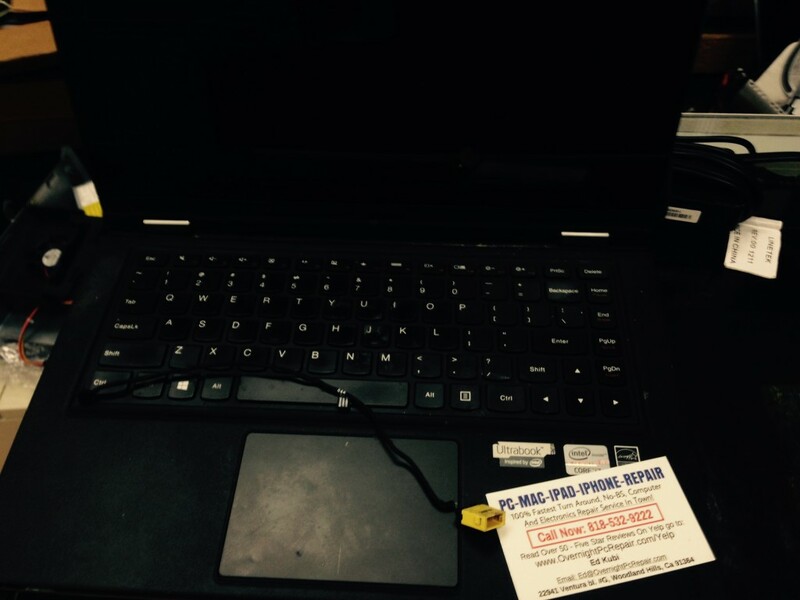 this lenovo ideapad yoga 13 dc jack replacement was second one in couple of weeks. apparently they have this dc jack problem where the middle of the jack is not very strong and any simple jerk of the cable can cause this damage. this happened to two of our customer in couple of weeks period. so we went on to replace dc jack on both of them, however they both had bigger issue than motherboard replacement. motherboards went out on both of them. On first lenovo ideapad yoga 13 dc jack replacement was not successful because there was also trackpad damage and also the battery was no longer recognized. we learned that only when we ordered new replacement motherboard for it. on second one, other components seemed ok, but motherboard was not. so be careful if you break this dc jack on lenovo ideapad yoga 13. bring it for repair right away don’t wait and don’t try to plug the adapter into broken jack, because you may damage your motherboard permanently. and then no dc jack replacement will help!!! cheers!